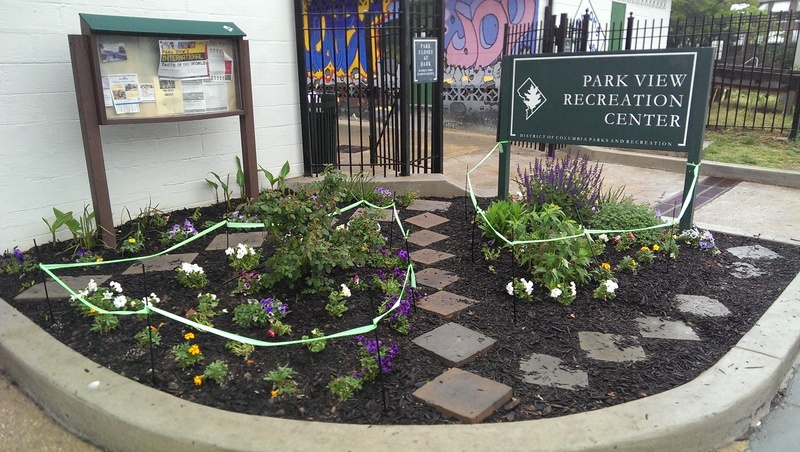 Admiring the New Plantings at the Park View Rec Center | Park View, D.C. I wanted to acknowledge some of what the United Neighborhood Coalition accomplished during their UNC Earth Day event last Saturday. 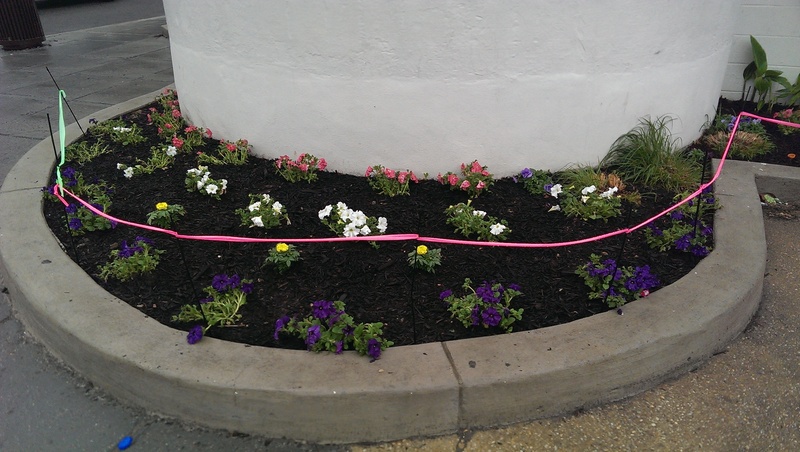 Despite the rain, they were able to pick up a lot of trash and helped spruce up the Rec Center with flowers. The photos below show how nice the entrance to the rec center looks even with the rainy weather. This entry was posted on April 29, 2016 at 7:01 am and is filed under Department of Parks and Recreation, Environment, Gardens and Gardening, Volunteerism. You can subscribe via RSS 2.0 feed to this post's comments.